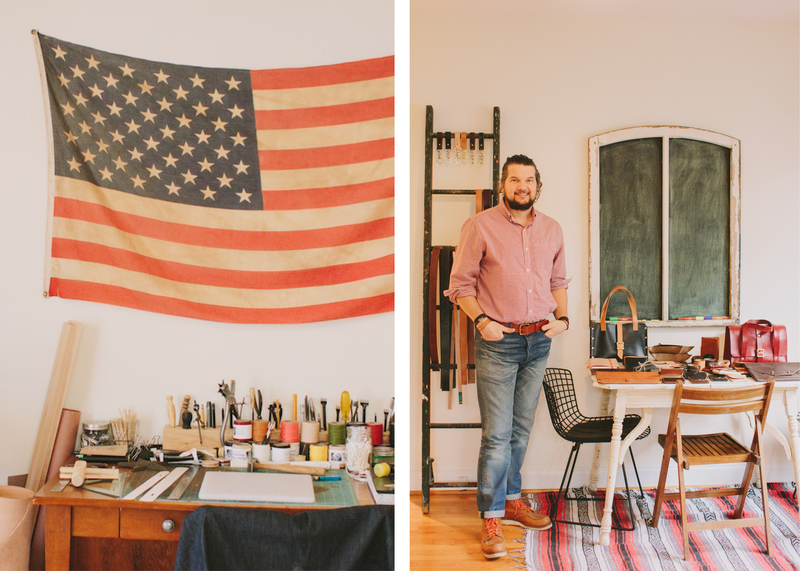 a little rough around the edges: Made Supply Co.
Tucked neatly into a corner of his clayton home is the Made Supply Co. headquarters, where Greg Lewis creates beautiful leather goods by hand. 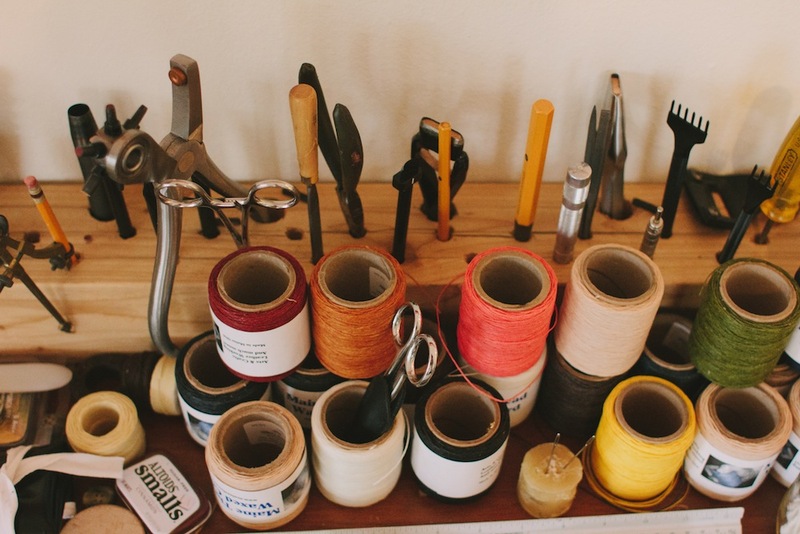 Making up his workspace are tables filled with hand tools and various colors of thread. Stacked rolls of leather bring an earthy scent into the room, slightly over shadowed by the coffee brewing in the kitchen. 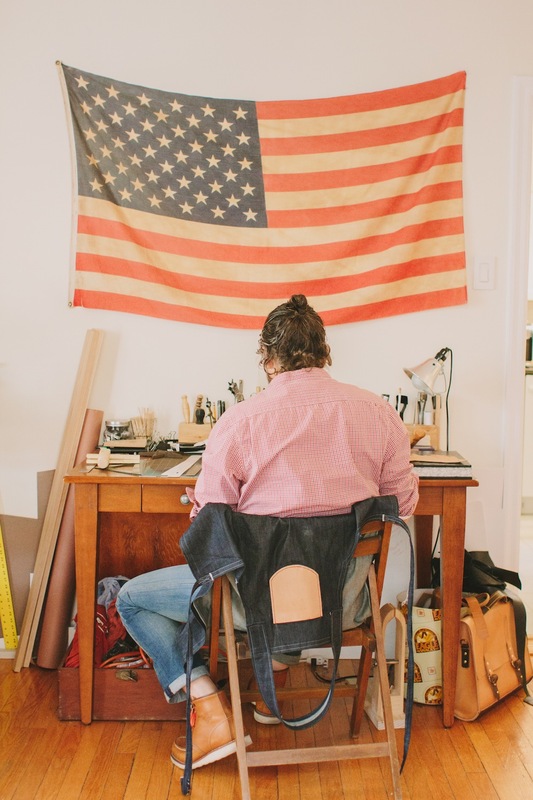 The tour of the room dubbed Made Supply Co. headquarters is quick – a couple work tables and an American flag. I dig into the history behind Made Supply Co. Which, as it turns out, isn’t quite the saga I was expecting. 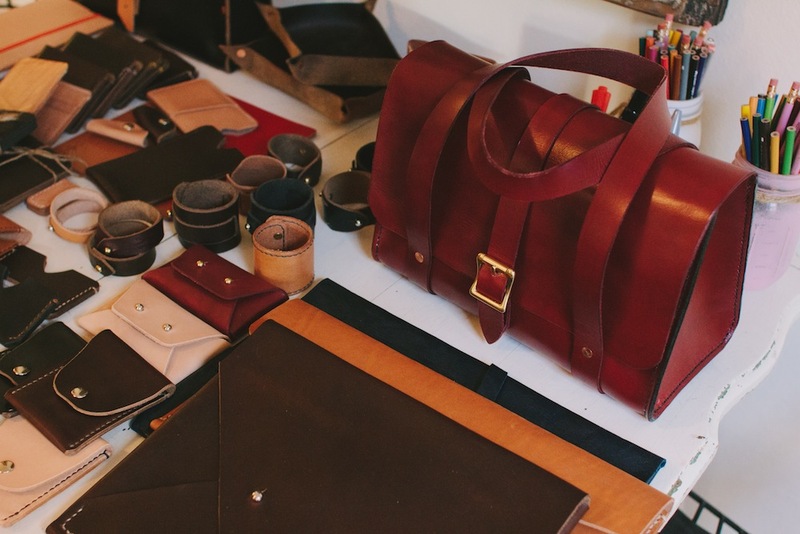 Having been in the leather goods business a little more than eight weeks Greg has amassed a product line and following i’d expect from someone more worn. With twenty years carpentry experience behind him, Greg took to leather work at the suggestion of his wife, Angie. “I started watching some YouTube videos and really did it overnight,” he recalls. “With carpentry, everything is lines and angles and cutting and everything has to fit and fasten. 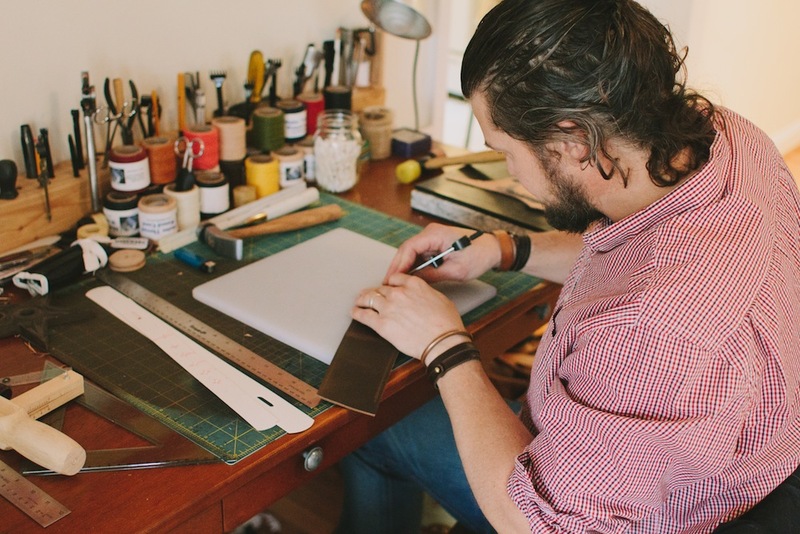 It’s kind of along the same lines, and was pretty easy for me to pick up.” Within a week of deciding he could start a home based business in leather work, Made Supply Co. was up and running. Everything Greg makes is done sans machines. The cutting, the distressing, and stitching is all done by hand. “It’s all hand tools,” says Greg. “Punches, scribes, and needles. I break a lot of needles.” He’s breaking a lot of those needles perfecting the saddle stitch, the oldest method of hand-stitching, found on products like The Dempsey, The Kate, and The Eastwood. Once in a while, Greg will pull out a dremel to sand the edges of a product, but he assures me that’s a rarity. Greg’s parting words, “Keep it simple. 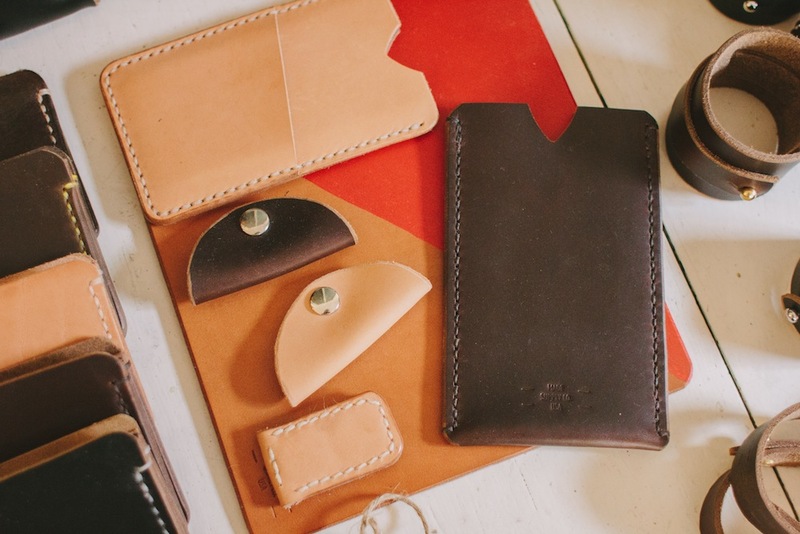 Be true to yourself,” serve as his motto for Made Supply Co., and is certainly echoed throughout his collection of simple, beautiful leather goods. The Kate was featured in the recent shop St. Louis: local gift guide.